Submit Your Sanity Plan Story Today!! Hello everyone! The Sanity Plan wants to hear how you find “Sanity.” It can be any solution, big or small. It can be something you’ve done only once, or something you do regularly. Work/Life Balance– One of my close girl friends was telling me about how difficult her client is. Her job as an account executive requires her to spend long hours on the phone with a group of people that are very hard to please. When she has a particularly stressful call to lead, she found the cutest solution to help keep her sane. 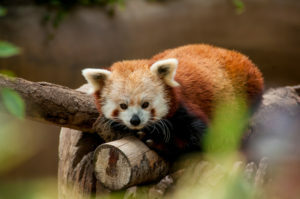 She pulls up the webcam of the red pandas at the Philadelphia Zoo, and keeps it running in the corner of her screen. Watching these adorable fuzzy animals keeps her calm, yet it is light enough that it doesn’t distract her from what she needs to get accomplished. Stress Relief – I don’t typically listen to music. However, when I am feeling particularly overwhelmed, certain music can really lift me up. I put on Jason Mraz’s live album “Tonight, Not Again” and it brings me back to one of the best times of my life: the semester I spent abroad in England. Recalling the sights and sounds and exploration reminds me of being free and carefree and on top of the world. Parenting – Parents need many solutions up their sleeve to keep their sanity. My best friend HATES mornings. The problem? Kids are all about mornings. She changed one simple thing that seriously improved her morning routine. 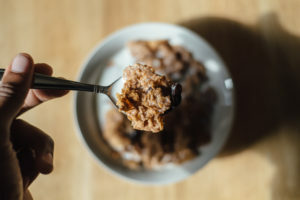 At night, she poured and covered a bowl of cereal for her elementary aged daughter so that her daughter could simply add milk and eat in the morning on her own. What about you? I’d love to hear your story in 300 words or less. Stories will be used as examples and inspiration for people who are working on their Sanity Plan. By submitting, you agree to release all rights to your story for republication with your first name and last initial. Share this with a friend/coworker who may have a story to tell and follow The Sanity Plan on the right to see your solution in action!